QED Genesis Silver Spiral's exceptionally low resistance allows amplifiers to exert outstanding grip and control over the speakers they're driving, especially at low frequencies. This isn't just another speaker cable it's a high performance audio component. 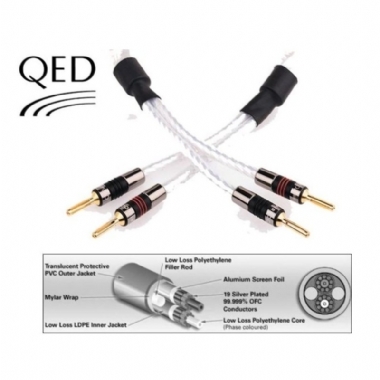 All speaker cables priced per metre, Termination extra.